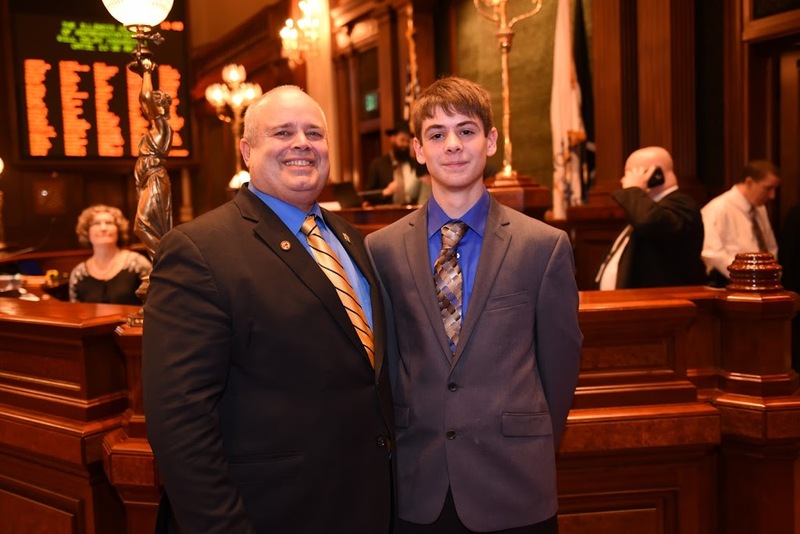 State Representative Dan Swanson hosted Princeton resident Troy Molln as an Honorary Page in the Illinois House on Wednesday. Troy is a student at Princeton High School where he is an active participant of the Princeton Tigers Soccer Team and Track Team. He attends Evangelical Covenant Church, where he is very involved in his Youth Group. In 2015, Troy went on a mission trip to Dallas, Texas and is preparing to go on another to Bayou La Batre, Louisiana this June. Troy has also helped with field duty for the Princeton Youth Soccer League. He enjoys helping both of his grandfathers on the farm, especially driving the auger cart during harvest.